With so many automakers, staying ahead of the competition is not an easy task. 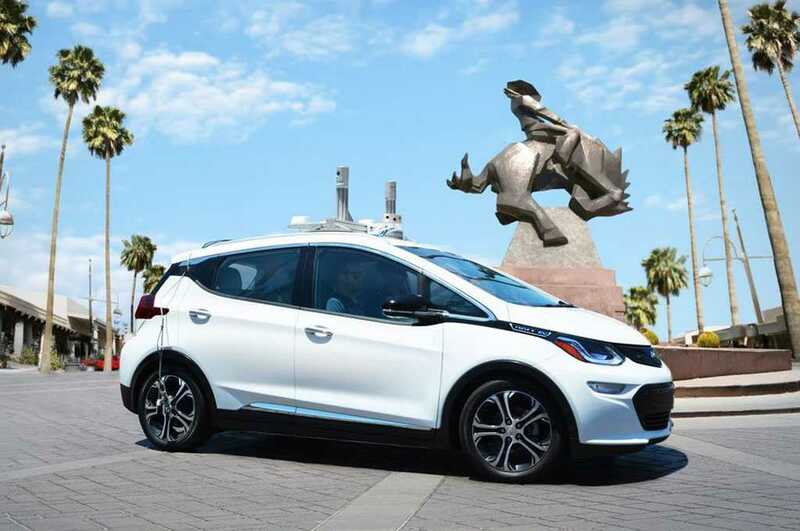 All electric vehicles are just the beginning as Chevrolet confirmed they are testing their Bolt EVs with autonomous technology in Arizona. Tesla has already revealed in their last part deux plans that self-driving cars are the future. They promised to perfect the technology and take it to whole new heights in the next ten years. When they claimed that electric vehicles can be made mainstream, no one believed it. But, Tesla made it possible and probably they might break barriers to simplify autonomous technology in the next decade. The same objective is being pursued by Chevrolet Bolt EV. Self-driving is such a convenient option for passengers as they no longer have to worry about navigating through dense traffic. In their Twitter feed, Chevrolet’s executives confirmed that they have started testing the new technology in the state of Arizona. In order to make the Bolt aware of the surroundings, the car is equipped with lidar sensors and has trifocal cameras. They receive inputs from the surrounding and keep updating the infotainment system, allowing it to navigate it accordingly. General Motors has already purchased Cruise Automation but the new company will work autonomously with the power to make decisions and develop new technologies. They provide the technical components necessary to make autonomous driving possible. Cruise Automation is in charge of developing the accessories to turn late model vehicles on par with newer launches. GM has also partnered with Lyft to launch a range of driverless cars on the road. Lyft directly competes with Uber in the public transportation segment. Powered by the new technology, Lyft cars will automatically find its routes and help passengers reach the destination without hassles. After successfully bringing it to the public sector, the self-driving tech might be introduced in future generation Chevrolet Bolt electric variants. A 2017 edition of Chevrolet Bolt which can continuously be on the move for 200 miles is scheduled to get launched by the end of the year. The pricing is quite acceptable at $37,500 and if they manage to bring it to people by the mid of 2017, they will be much ahead of Tesla. Model 3 was supposed to be the car to break barriers in terms of pricing and range. If Bolt surpasses it months earlier, this could be the boost other auto manufacturers need to make their vehicles all-electric.